Need your Transformers fix? 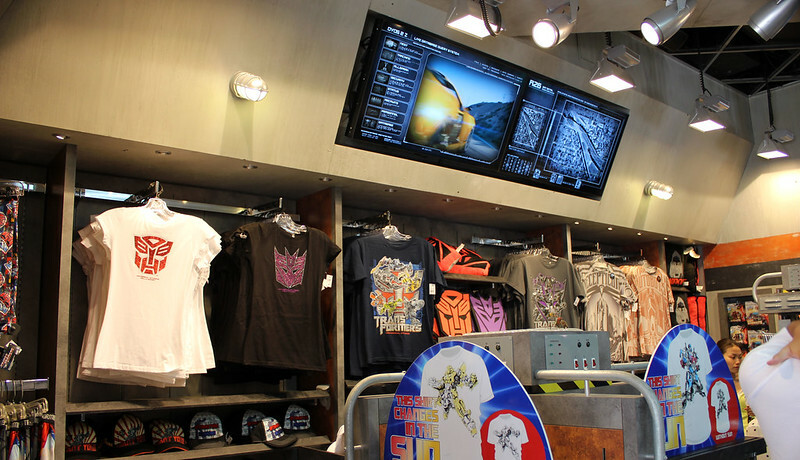 Visit the Transformers Supply Vault for merchandise from the films and the ride. 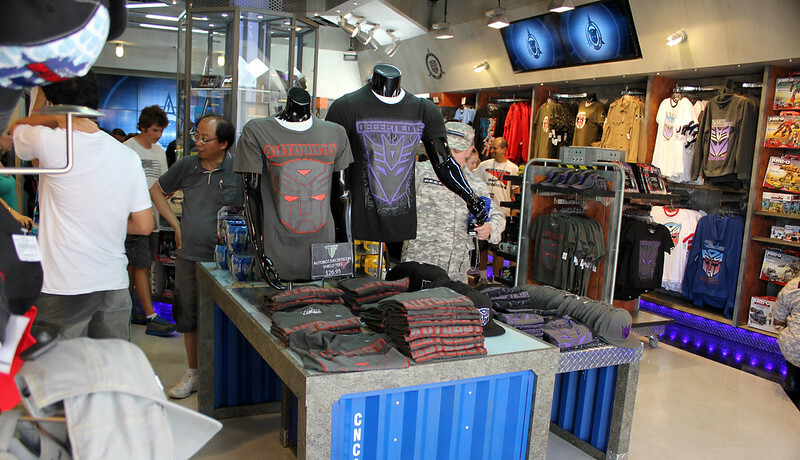 This store is your go-to shop for all things Transformers. For a small store, it has a wide of variety of products. From NEST jackets and bags to t-shirts to pins, the Transformers Supply Vault is the best place for any Transformers fan to be. 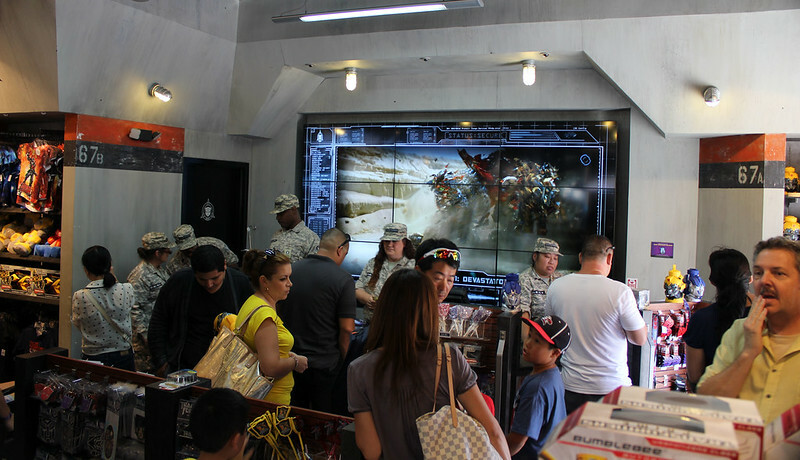 The Vault also sells Transformers comic books, and figures exclusive to the theme parks. The variety of pins and magnets available here should satisfy anyone whether you side with the Autobots or the Decepticons. 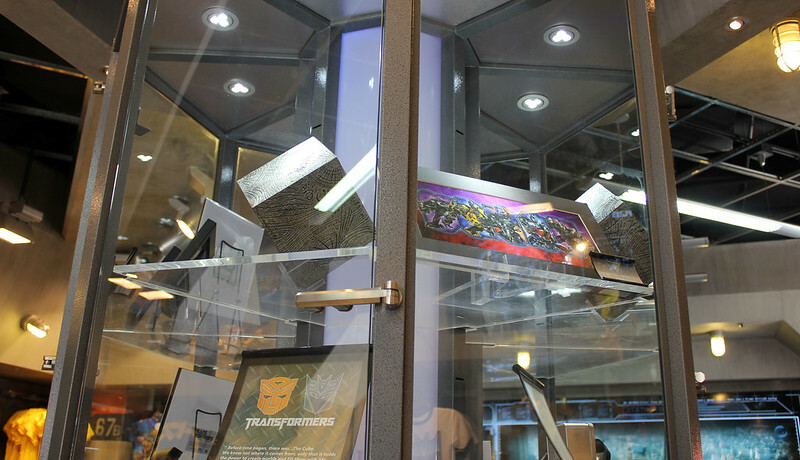 Finally, you can also purchase production cells from the films and Allspark replicas for sale in the central display case. 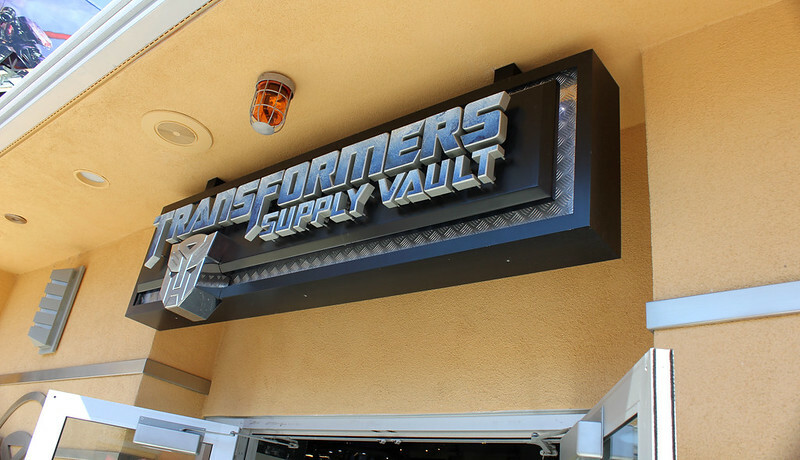 The Transformers Supply Vault is nudged between Transformers: The Ride – 3D and the Transformers photo opportunity. This store is also the first thing you see as you exit the ride. 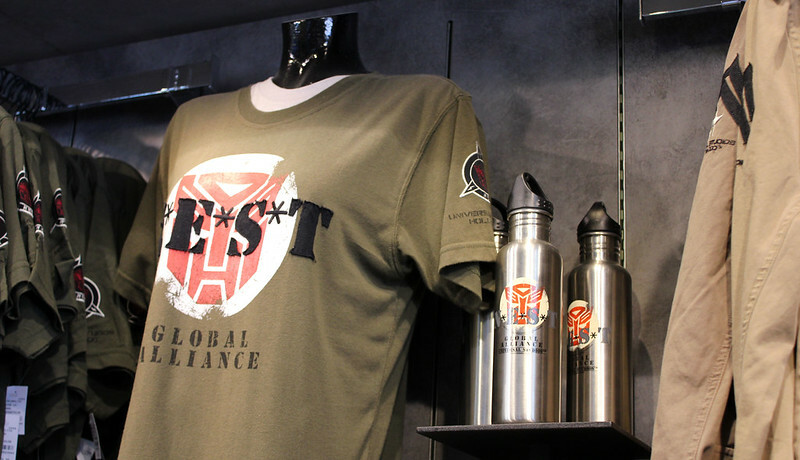 Transformers-themed shirts with park-specific branding, collectible toys (such as EVAC and Optimist Prime), water bottles themed after NEST, character spray cells, a replica of “The Cube,” Bumblebee and Optimus Prime sipper cups, hats, and Transformers action figures. You can also buy an actual bust of EVAC, Bumbleebee, and Optimus Prime. 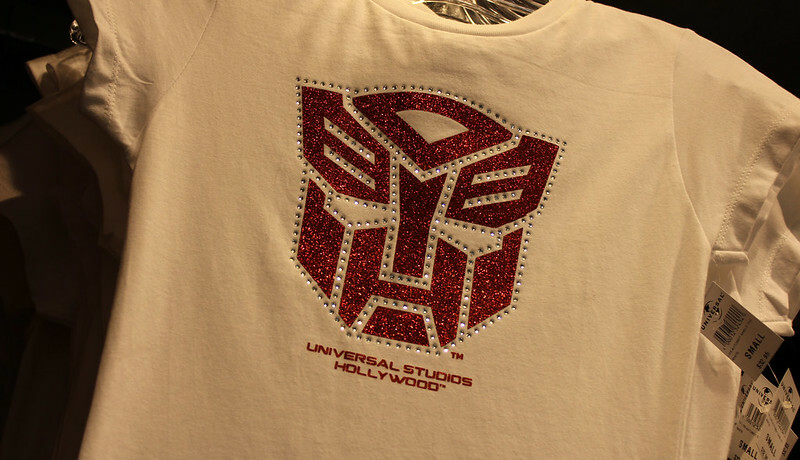 Most of these products are available only at Universal Studios, which a select few (mostly shirts) exclusive to Universal Studios Hollywood. While the Transformers Supply Vault is tinier than Feature Presentation (which can be found on the Upper Lot), rest assured that guests usually flow in and out with ease. There is no queue to enter, and the store maintains a busy – but manageable – atmosphere. 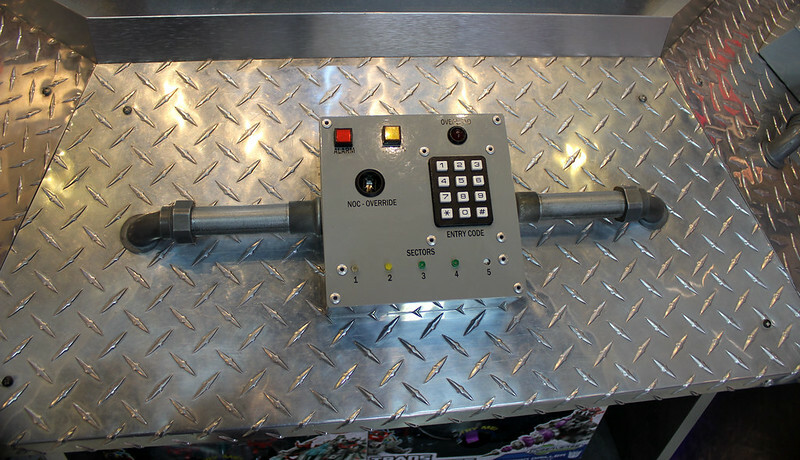 Though nothing major, the Transformers Supply Vault features exclusive footage based on the ride. 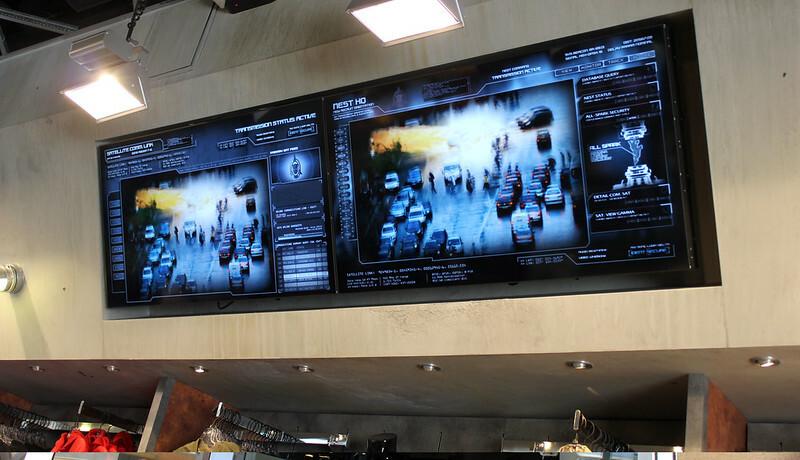 Keep a note of the large video wall behind the cash register and the monitors overhead.